Staff Members; Tanya, Stephen and Samantha brought their family (and their pup) out for a wonderful parade! The night started out with a few snowflakes which made the parade even better! Lots of adults, teens and children came out to enjoy the parade, which was wonderful to see. All participates wore their poppy to respect and remember those who have, and will, give their lives in battle for us. We also wanted to add a tribute to the veterans on the truck. We decided to hand make 2 poppy wreaths to hang from the truck. Staff and their families handed out yummy suckers to all the kids along the parade route. 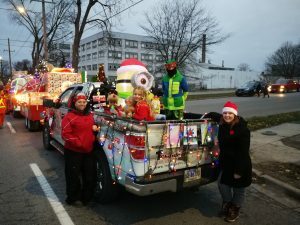 We got to see the happy faces of everyone watching the parade! 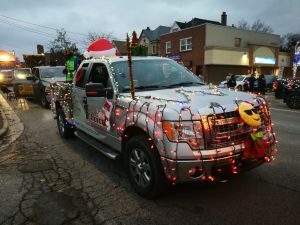 Our entry was our company vehicle. 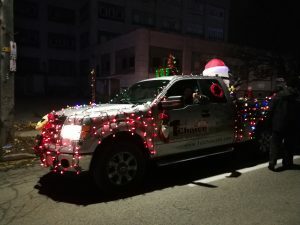 We decided to use over 500 lights to light up the truck. We also added a blow up minion for all the kids to enjoy! 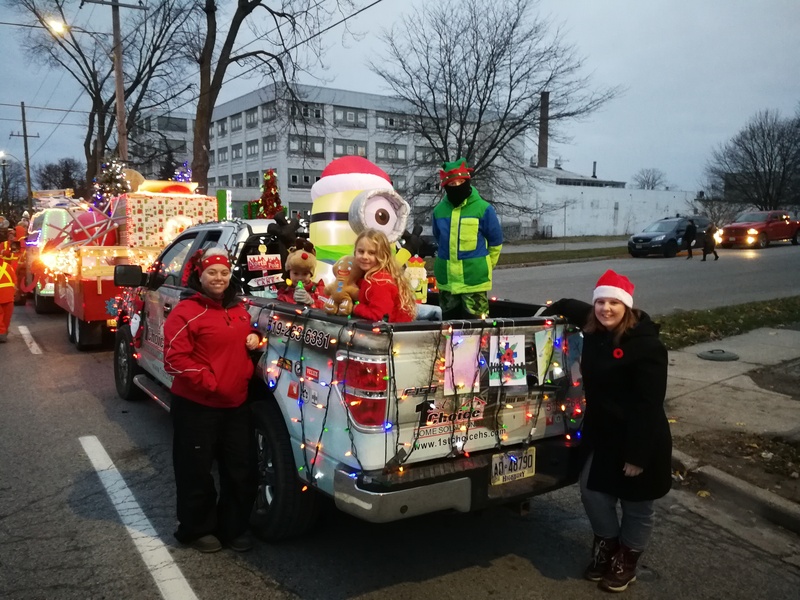 We added hand drawn pictures from the staffs children to the back of the truck and attached a fun christmas emoji and bells to the front of the truck. On the roof had a christmas tree and two little gifts. We also hung stockings from the side windows and our wreathes hung from the back window. 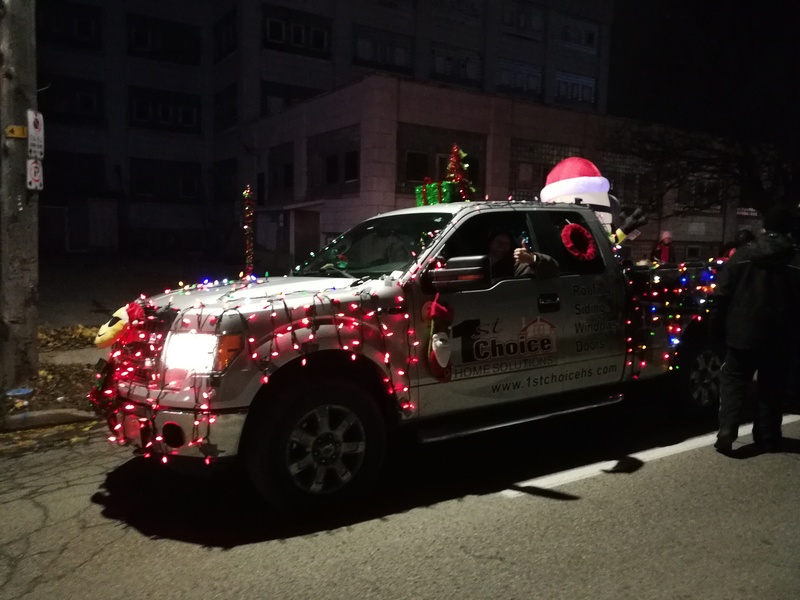 We hope to made this an annual tradition with 1st Choice Home Solutions and their family!